This well established North Burbank Area tanning salon presents the perfect opportunity for the owner-operator who seeks a business with consistent returns to operate and grow. This attractive and fully built out tanning salon boosts a loyal clientele and offers top of the line tanning beds and excellent customer service. Location and Facilities: This spacious 1,800 square foot salon leases at a favorable lease rate of $3,100 a month on a secure lease, with two 5 year options. The salon is located in a busy shopping complex with complementary neighbors. It has state of the art tanning beds as well as ultraviolet light free spray tanning options that are included in the sale. 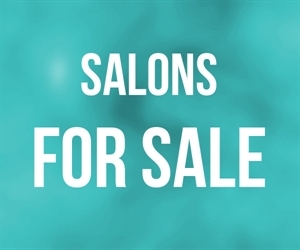 Market Information and Position: This salon could potentially benefit even further from sales oriented full time working owners who could help insure the highest average dollar sale per client, while also potentially guaranteeing an unmatched customer service experience. A full time working owner could also further increase gross revenues by offering airbrush tanning, expanding its selection of retail products, as well as creating a social media presence. To stabilize monthly revenues, the implementation of the monthly recurring revenue plan (EFT s) could be tremendously beneficial. Sin This facility s unique location provides it dominate market share in its protected market. Competition: Its location, along with its stellar service, equipment offering and superior staff, provides it a sustainable competitive advantage over incumbent salons and prospective industry entrants.